We are currently closed for the season and will be re-opening in June 2019. We are here all winter for information and reservations, 207-633-3900 or 207-633-4434. We look forward to helping you plan your 2019 visit to Boothbay Harbor and the Seagate Motel! Call today! Boothbay Harbor, ME is the perfect place to escape for a summer vacation! If you are traveling to the area and are in need of excellent accommodations please join us at Seagate Motel for Boothbay Harbor, ME affordable lodging. 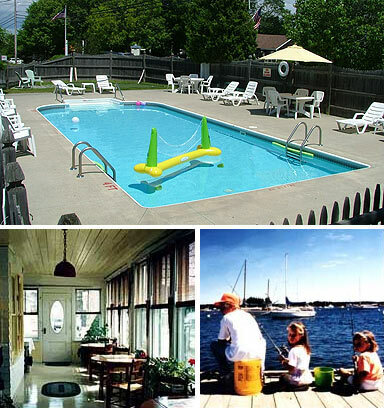 Our motel is conveniently located close to downtown Boothbay Harbor and our accommodations are cozy and classic. A wide variety of shops, restaurants and local attractions including the Gardens Aglow are only minutes away. Guestrooms feature private bath with personal amenities, cable television, coffee makers, heat/air conditioning and small refrigerators. Enjoy a swim in our outdoor pool or relax with a poolside picnic. Whether it’s directions for sightseeing or recommendations for great local dining, our friendly staff is always ready to assist you with whatever you need. If you are looking for economical lodging with a home town feel, you have found the place. Our atmosphere is relaxing and welcoming, and we have some of the best prices available in Boothbay Harbor. Make Seagate Motel your choice for Boothbay Harbor, ME hotel accommodations today!